It’s been great fun to read about all of your travels for your book promotion. If we were closer we would surely attend one. Perhaps one of these days you will be on the West Coast! I’m sure you have sold a lot of books! Do you get asked some really interesting questions? Now, we hope that perhaps you and your wonderful readers can help us with our dilemma and give us some ideas. This regular group of mostly very experienced players meets twice a month. We are about 25 players. I have been giving lessons on a regularly scheduled basis in another room at the same facility for the past 6 weeks, with 5 people in this beginning class. The goal is to move these new, but great players into the same main room as the larger group and to have people mix together. If you just continue to play with the same 5 beginning players you are never going to gain more experience. Also, they’re likely to continue some bad habits and without guidance, will never correct them. Realizing that everyone was a “beginner at some time in their life” we have asked the others for “patience and understanding”. These new players are not exceedingly slow, but may need some extra moments. Some of the experienced players are “grumbling” about not wanting to play with “newer players”. We don’t want to discourage anyone from coming and participating and having a great afternoon, but we want everyone to be as comfortable as possible. When we have 25 people in the room there is one “floater” who takes the place of East as soon as the table is finished. Where there is no “floater”, we just exchange “Easts” with another table when two tables have finished at about the same time. I have thought about designating one side of the room for “newer players” and for those experienced players willing to rotate through those tables but I’m afraid I won’t get enough people to want to do that. Any suggestions you or your wonderful readers could offer would be very welcome as we want to keep old players happy, but want to be able to welcome new players. We play at a city Sr. Center and there is no cost to us and it is “open to the public”. Thank you so much for your wonderful blog that has such useful information. Let me know your thoughts and I will show your responses in a future posting. This entry was posted in Mah Jongg and Me and tagged mah jongg on February 27, 2015 by Mah Jongg and Me. Our group has a similar situation; so I anxiously await suggestions of how to integrate the newbies while still allowing the experienced players to have fun. Do U know of any Mah Jongg tournament in the New York or Long Island. how about saying that after 4 games we will rotate say for example 2 players to the next table so that we can get to know more people and play with other levels of play? Since my girlfriend, Bonnie, and I run intermittent tournaments in the Tampa area, it is always our pleasure to invite newer players so that:1) they learn the NMJL rules and 2) can improve their play. We are all experienced players and, of course, everyone wants to win but the Number 1 rule at our tournaments is to have fun and to BE NICE! How can the game continue if no one wants to teach others to play. We were all beginners at one time. Without knowing anything about these newbies, like their age, I certainly understand them. Although I learnt how to play 5.5 years ago, I played with my friends not very regularly and they only saw mahjong as something to do while we chat around the table. I wanted much more, so I joined a group of experience players, and I have a feeling I annoyed many of them for quite some time, not only because I took my time, but also, because I threw tiles that obviously were needed. Then the new card came out, and I vowed to really learn it. You cannot emphasize enough the importance of this knowledge to your students. The other thing I did was, I started playing online. The Mahjongg League has a site for $40 (might be a bit more now)/year, where you can either play with others – unfortunately those people can be way too vicious if they play the timed games – or just practice with the computer. I really liked the practice. There’s also another site: http://mahjongtime.com/ Again, you need to invest some in this as well, but if they really want to get better, here they can play as much as they want with people from around the country. I guess what I’m trying to say is, that if you see that the beginners are willing to put in the energy to get better, and are willing to lose games until they get fast enough to make decisions about a hand, they should get the chance to practice their skills with others. Everybody needs a minute time-out sometimes, but not all the time. If you have 1 newbie with 3 experienced players, the game should not be too painful for too long. 1. Maybe have some designated “intermediate” tables? 2. 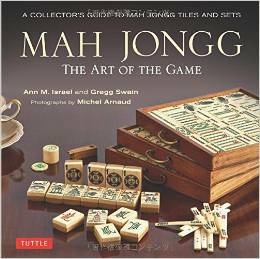 There is a difference between “recreational” mah jong and “competitive” mahj jongg. Maybe designate some tables as such? Mixing such players can be unpleasant for each. 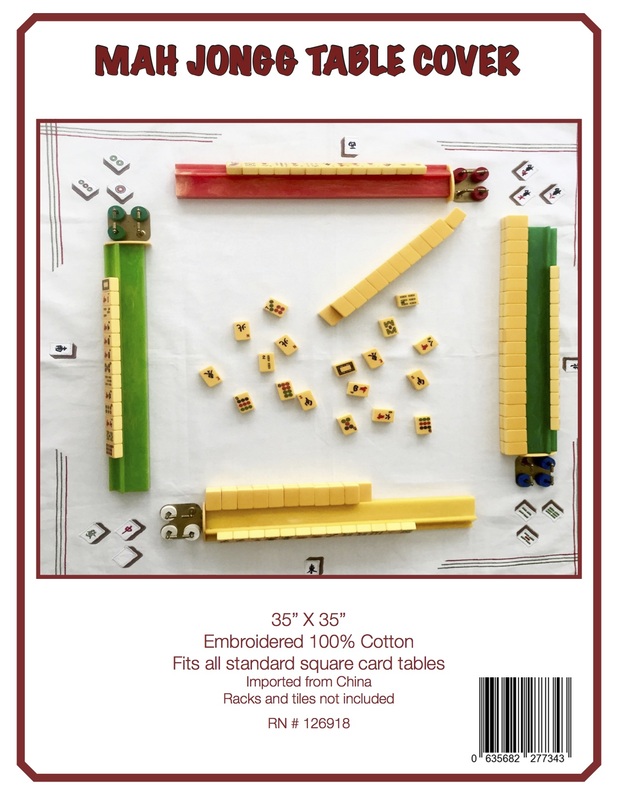 I have taught mah jongg for many years both privately and in group settings. I taught at the University through their continued education program for about 10 years and also at the Senior Center and Retirement Homes plus I have taken mah jongg to the small towns around San Angelo making it possible for several different groups to find a new source of pleasure even when they live out in the country. One group plays all day long once a week and then drive into town (about 30 miles) to play with our Tuesday Night group. 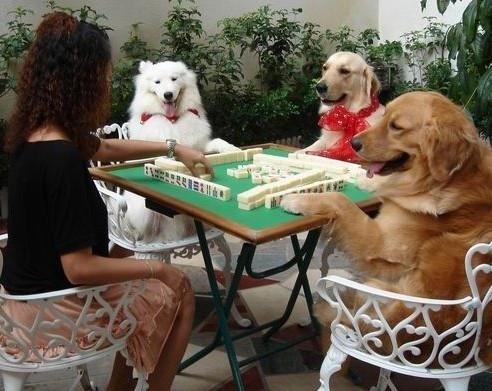 They are addicted and have had such a good time; they welcome anyone to come play. I love what I do and I am pretty good at spreading appreciation and love for this wonderful game. I also have some pretty good game ethics and try to spread that around as well. When I complete the last lesson and/or Novice play I have a graduation party to introduce the new players to experienced players. WHEEEE, they all love this even if there is much nervousness right at first to play with “strangers”. However all agree this is less threatening than jumping right in to play with a roomful of “sharks”. LOL I invite just enough willing friends who are experienced players to join us, either where the lessons were given or in my own home. There are many who love doing this for me and who even are willing to make a small road trip to nearby towns where I’ve taken mah jongg just to help the players see how much fun this game can be with a group of friends and/or strangers. I try to put 2 experienced players at the table with 2 beginners; everyone feels “comfortable and safe” with that arrangement. Sometimes we have a table with 1 newbie and 3 others but that works fine too; it all depends on how many are in the class. The main goal is to provide a chance to play with someone new other than those you learned the game with in the class, There is lots of laughing and joking and giving of encouragement. We play about an hour and then the experienced players switch tables. I’ve also done the rotation in many other ways just to let the new players enjoy playing with new people; we enjoy meeting every new player this way. Serving refreshments, including spirits, and giving a small prize for the first mahj at each table and also a party favor for all players.add to the “FUN”. I often give those oriental fabric lipstick boxes which hold almost a roll of quarters; we play for a quarter per hand ante so these are fun; I buy them at a local store for $1 each. There are often little Bhudhas that I can buy – – a back scratcher or set of chopsticks, etc. to acknowledge your victory and your success. I used to give those little graduating ducks from Oriental Trading to new players at the “party”. Many still have those. There is a Chinese duck too; he is precious. Also I play in a Tuesday night group with 3 to 9 tables each week. About once every 3 months I offer complimentary mah jongg lessons at a Novice table with me, up to 3 tables of students. While our Tuesday group plays we sorta sit to the side and do our thing but students see and hear all the fun the regulars are having which makes them more interested in being a part of the group. Usually I allow them to play as Novices for about 3 to 4 weeks (I want them to feel very confident) and then they play with the regulars. Some are ready after 2 weeks but others really need more time to “develop” so I don’t rush them. During that time frame, new players have pretty much learned the rules/procedures, found several “go to” hands and are sure enough of their skills to sit and play with the “big girls”. LOL I love to emphasize the FFFF 1111 2222 DD hand from Consecutive section. It’s nearly always on the card each year perhaps with minor changes something like FF 1111 2222 DDDD. From this one format players can play 24 different hands which is comforting to them as well as that hand is pretty easy to switch from one pair of numbers to another. I’ve known players who clung to that hand for many games during the first 6 months of play and then would add another hand to their standard game play process and play it for a few weeks and then gradually go with others. Reading the card is a primary focus of my class and the other is to play the hand that sounds like fun to you. Try every hand at some time. I insist on this during class play for I’ve known too many players who are scared of Wind hands or Closed Hands or Singles/Pairs. Much of the fun and pleasure of Mah Jongg should be in the challenge to oneself. Playing with “Sharks” or “Baracudas” who do their best to intimidate people to the point of downright rudeness (and there are many like this) requires one to have a steady comfort hand in mind as well as playing those others on the card. When in doubt, play a closed hand to survive and gain assurance — you might not win, but again, this is a game of LUCK. I feel it is my duty to help new players enjoy the game, whether they are winning or losing. One should strive to be a gracious winner and a gracious loser; many game players were never exposed to kindness and that’s a pity. I have NMJL cards available for students to buy and I try to see that each one receives a prize for their Virgin Mahj. LOL Of the 200 or so players that I’ve taught, many tell me that MJ changed their lives so much for the better. MJ gave them a social group and a reason to live life. MJ also keeps us all sharper and more alert for our older years; we have many young people playing as well. One suggestion is to draw from poker chips that have numbers up to how many tables have 4 players; those with same #’s play together. Example: Label each table, 1, 2, 3, etc. Then all those with either 1,2, 3, 4 on poker chips play together. 2. Encourage being more respectful and supportive with respect to new players. We always welcome and teach new players 30 minutes before regular play; they can watch and ask questions between plays. 3. Invite players to participate another day and teach/play with new ones. Hold special sessions for newbies ,appoint mentors to individuals , no pain no gain.At the end of a comparatively short period those who are considered to be ready move up to the main events.The others carry on learning until they are ready.The mentors would be most unusual if they did not get a kick out of passing on their knowledge. It is too bad players forget they were once “beginners.” I first have my students join in with players who have played a “few years” and they are happy to “help” the newer students. No, they don’t want to slow down their games. Wouldn’t it feel good to say I was one of the players to help them? Afterwards I gradually get them in with more seasoned players. How quickly they adopt one another especially when we get our new cards and we all “kind of” feel our way for a bit. Slow down and be thoughtful. It really won’t hurt you! Phyllis C.